Bliss is a Geolocation Mobile System built with AWS (Amazon Web Services), that empowers any organization with two key benefits: to search/show its enterprise data over a map, and to enable “The Office” in knowing where “Everybody Is” on real time (Sales People, Managers, Drivers, Agents, Workers and anyone working outside the office). Bliss also enables members to communicate and exchange important company information using their Smartphone or Browsers. It has its own built-in microblogging platform. 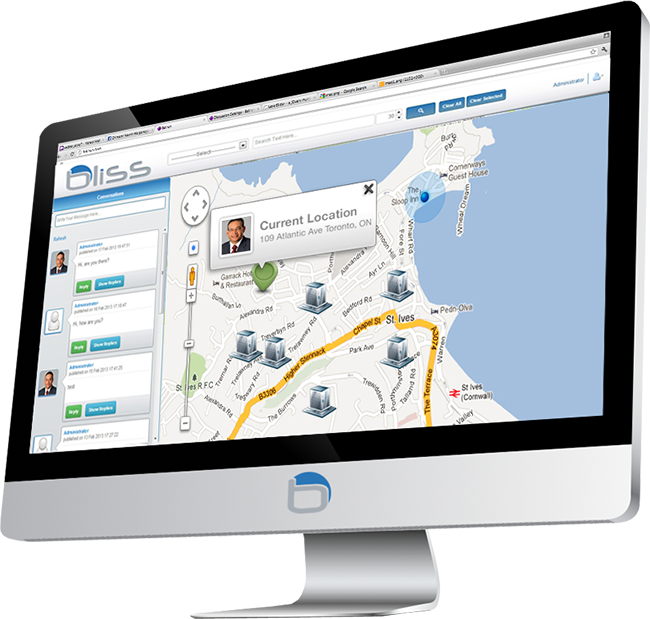 Bliss can be configured to connect to any database (MS SQL/MySQL) to read and render the information over its map interface (Using Google Maps API). Mobile users can also be configured with secured access to each Bliss instance. 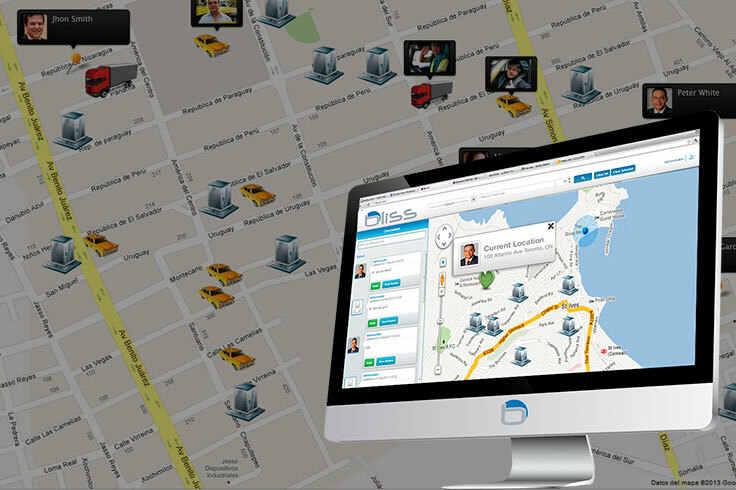 Extend the reach of your objectives-achievement process and manage your team and assets using Maps and Microblogging: Geo-Communication!.